ROMANCE BOOK PARADISE: Adrienne Giordano and Suspense! About a year ago, a few writer friends and I were chatting about the types of stories we write and realized that, although our stories are all very different, they have one common denominator. Tracey Devlyn writes historical suspense, Nancy Naigle writes small town suspense, and I write contemporary romantic suspense. Recently, I started thinking about why I love writing romantic suspense. I’d love to say my answer is one that will warm everyone’s heart, but I’m afraid it’s rather simplistic. I love a good thriller. Give me any of Harlan Coben’s books and I’ll happily settle in with it. I also love romance. There’s something wonderful about sharing the journey of two people learning to trust each other and falling in love. For me, romantic suspense is the delicious combination of my favorite genres. Like I said, pretty simple. Tracey: Big thanks to my buddy Adrienne for inviting me to talk about my love of suspense. There’s nothing like mingling volatile new feelings of love with heart-pounding action. Watching a story’s hero and heroine claw their way to the surface of a life and death situation while battling the mind-drugging effects of their desire. Plus, I love shocking readers with the unexpected. I love going there. Nancy: Hey y’all. It’s always a fun day when I get to spend it with Adrienne and Tracey. We are as different as our stories. Tracey’s a Midwestern gal, and Adrienne might live in Chicago, but honey she’s a Jersey girl to the core. Me? I live in southern Virginia on a goat farm and my stories are as southern as I am. It’s kind of a standing joke that folks in small towns know everybody’s business, but that’s a great starting point to add suspense to a story. I like putting my folks in trouble because the emotional ties between the reader and the characters become so powerful when fighting to solve a problem. I write every book hoping that I’ll make you giggle, worry, fall in love a little and come out feeling happy about the way it all worked out. Give me Carla Neggers, Jayne Ann Krentz, Mary Kay Andrews or Mary Alice Monroe for a blissful day of reading, but I’m just as thrilled to be reading Carl Hiaasen or Michael Palmer. They’ve all colored the stories I write in some way. Readers, what are some of your favorite genres? For added fun, I asked Tracey and Nancy to pick one (I know that’s cruel!) favorite excerpt from their books to share. I hope you enjoy! Tracey: For my excerpt, I picked a scene from A Lady’s Revenge, my debut novel. Here, Guy Trevelyan wants nothing more than to show his childhood friend, Cora deBeau, that, despite the horrors of her imprisonment, she need not fear a man’s touch. Especially his. Instead of leaving, he moved forward, hovering over her like a bird of prey sighting a plump hare. Her teeth clenched, knowing he wouldn’t stop pestering her until she answered. “I came across these a few years ago in an Indian bazaar and have begun wearing them to bed, as I find them to be more comfortable and warmer than a nightdress.” He made her feel nine years old again, answering to her father for some minor misdeed. Grasping her ankles, he shifted her legs enough for him to slip beneath, and then placed her feet on his solid thigh. Cora swallowed, the intimacy of the contact making her heart lodge in her throat. She tried to pull her feet out of his grasp, not wanting him to see or touch her burns. “If you need a place to sit, I’ll be happy to read in my bedchamber.” Even though her insides clenched with embarrassment, nervous excitement thundered in her chest. He answered by kneading between her toes. Bliss shot up her leg, and tension locked her muscles. The juxtaposition of the two sensations sent her mind reeling. His strong fingers manipulated the soreness from the pads of her feet, careful not to touch her wounds. Her body wanted to melt into thought-numbing ecstasy, but her mind wouldn’t release her. She waited. Waited in silent horror for him to come to his senses, to pull away in disgust. His fingers skimmed carefully over the half-dozen circular burns dotting the soles of her feet. She closed her eyes, her body tensing even further. “That’s not helping,” she ground out. Enough, her mind raged. She pulled at her foot. When he lifted one savaged sole toward his lips, her eyes rounded in horror, and her body turned into a block of cold, unmovable marble. A loud rumble jarred Jill awake. She squinted against the morning sun that streaked across her face like a laser. “What the…?” Jill kicked out from the pile of housecoats and stumbled to the window. One tug sent the old shade whirling to the top of the window frame. With her hands pressed to the warm glass, she looked for the source of the interruption. The roar assaulted her ears, but the sight of the man pushing a lawn mower hit like a sucker punch. Low-slung denim hugged a pair of trim hips. He moved away from her at a steady gait, sending grass spitting to the right in a trail of fresh clippings. The softball-sized biceps and muscles in the broad tan shoulders had found a new maturity she didn’t remember, but there was no mistaking—it was Garrett. Jill yanked the shade down to the sill. She turned her back on the window, stuffed her feet into Pearl’s raggedy pink slippers, and stomped out to the living room to check the time on her cell phone. “Seven thirty?” She activated the sound from where she’d muted it last night, then considered her options. Plan A, ignore him, or Plan B, go out and give Garrett Malloy a piece of her mind. He knows I’m here. Who else would park a car with a Georgia plate in front of this house? She rubbed the sleep out of the corners of her eyes, scrubbed her fingers through her hair, and stormed out onto the front porch. The screen door slammed behind her, but Garrett didn’t flinch. She crossed her arms and rocked her weight to one hip, waiting and getting angrier by the second. When he finally spun the mower around, he spotted her and waved. “Mornin’,” he shouted, lifting his chin in her direction. “What is wrong with you?” She marched toward him. She gritted her teeth. Where did he get off being so chipper at the crack of dawn? And what possessed him to do it in her front yard? OK, technically, it was Pearl’s yard, but it would be hers. Heck, she was the only family left in the family. “Mowing the lawn,” he answered in a sarcastic tone. The words stung like a hundred angry bees. He knew exactly how to get under her skin. That’s why she’d made all her visits to see Pearl quick one-nighters—so she could avoid him. Oddly enough, Kristen wasn’t offended by thinking of her event as someone’s punishment. From a management standpoint, she understood it. Kristen eyed him, let her gaze roam over his long, broad form and wondered just how low his body fat percentage was. Bios: Adrienne Giordano is a Jersey girl at heart, but now lives in the Midwest with her workaholic husband, sports obsessed son and Buddy the Wheaten Terrorist (Terrier). She is a co-founder of Romance University blog and Lady Jane's Salon-Naperville, a reading series dedicated to romantic fiction. 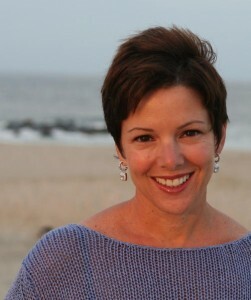 For more information on Adrienne's Private Protectors series please visit www.AdrienneGiordano.com. Adrienne can also be found on Facebook at http://www.facebook.com/AdrienneGiordanoAuthor and Twitter at http://twitter.com/AdriennGiordano. 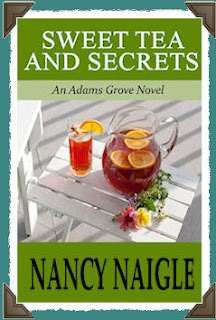 Nancy Naigle writes love stories from the crossroad... of small town and suspense. Nancy Naigle is a Virginia native who writes love stories from the crossroad of small town and suspense. She and her husband live on a working goat farm with their dogs, Hunter and Dakota, and more kids (the four-legged kind) than they keep count of. Her first two novels are set in the small Virginia town of Adams Grove. She also co-wrote a techno-thriller titled inkBLOT. Watch for the next book in the Adams Grove series, Wedding Cake and Big Mistakes, in Spring 2013. An Illinois native, Tracey spends her evenings harassing her once-in-a-lifetime husband and her weekends torturing her characters. Her debut novel, A LADY'S REVENGE, released April 2012 (Sourcebooks Casablanca). For more information on Tracey, including her Internet haunts, contest updates, and details on her upcoming novels, please visit her website at http://www.TraceyDevlyn.com. Tracey can also be found at http://Twitter.com/TraceyDevlyn or http://www.Facebook.com/AuthorTraceyDevlyn. I loved reading your take on Suspense and all these exceprts are just tantalising! Hi, Romance Reader. Thanks for popping by. I think it would be fun to get a whole group of romantic suspense authors (or any genre really) into a room and have them talk about why they love that genre. I think the answers would be fascinating. Thank you, Jemi. Glad you liked the excerpts. I hope you find one you like. :) Thank you for saying hello. Thanks for the chance to share with all your friends here today. Can't wait to what all y'all love about romantic suspense!! Adrienne ~ I love the idea of getting a whole group of authors together to talk Romantic Suspense ... hmmm maybe we could even get everyone together virtually and make up a fun plot out on the fly out of all the fun things people bring to the table. I'd show up for that!! Fantastic excerpts! I love suspense and romance combined. Both are good for my heart. Thanks Adrienne and Nas! Had a great time talking about suspense and romance. Carol and Peaches - thanks for stopping by!! Thank you, Carol. Glad you enjoyed it! Peaches, I love your name. I may have to make one of my heroine's Peaches. Ooh, three snips in one! I love this description of romantic suspense "Watching a story’s hero and heroine claw their way to the surface of a life and death situation while battling the mind-drugging effects of their desire." Those are some tantalizing excerpts! Thanks for sharing. Thanks to all my lovely friends for coming along to read about Suspense! Great excerpts, ladies! I love romance and suspense - best combo ever. I agree, suspense is never over rated! Love those excerpts. Hope all is well with you, Nas. Thank you for such a great post! any kind of suspense is awesome! I love suspense when I get that "I'm going to scream" feeling. I love romantic suspense. There's more to root for, with both bad guys to be gotten out of the way and two lovers meant to be together.